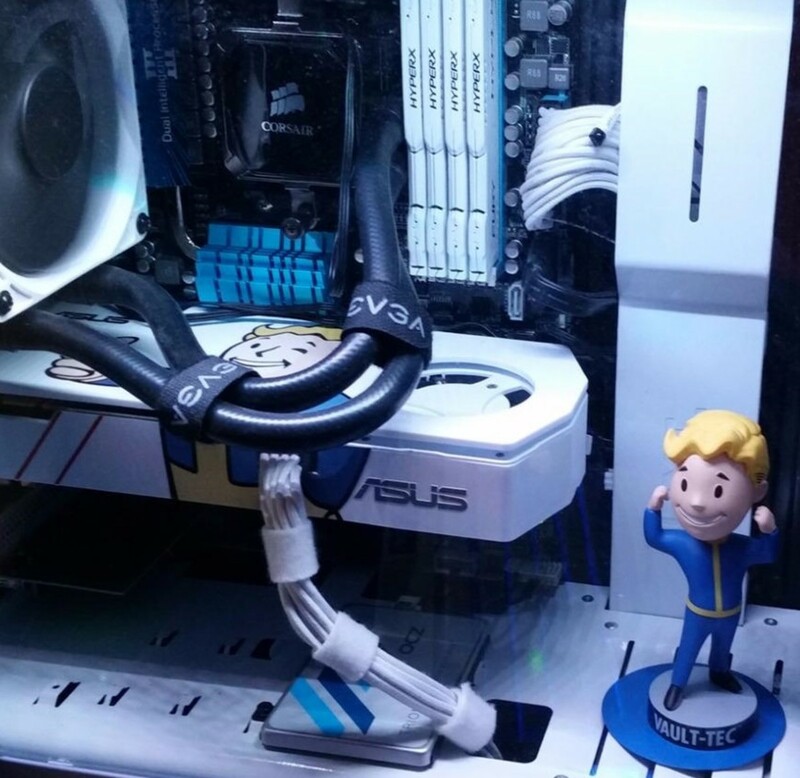 Looking for the perfect case for your custom PC build? Here are a few of our favorites in 2018. 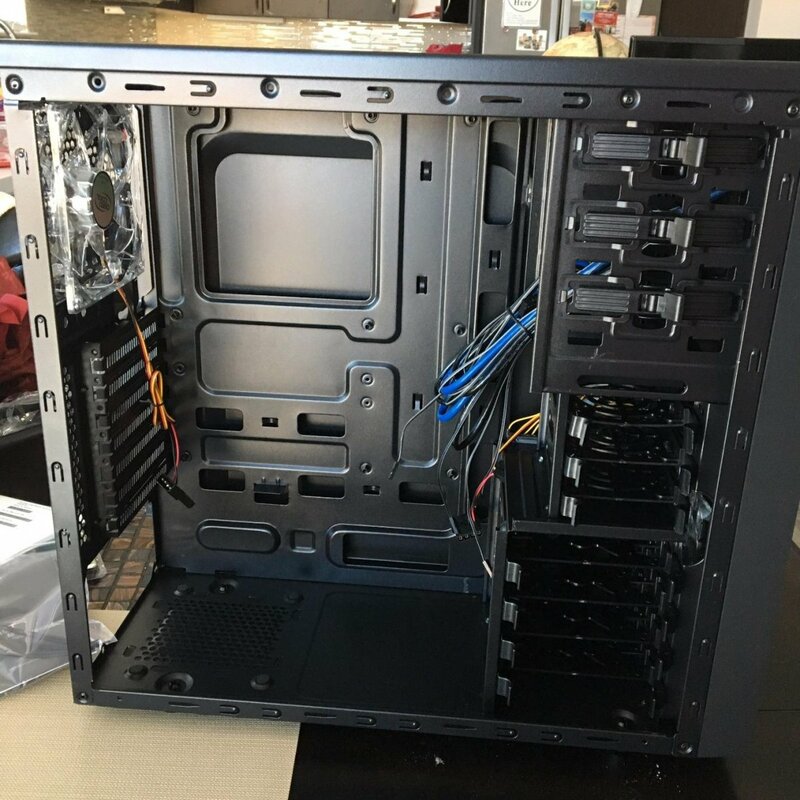 Finding the right computer case can be difficult as there are hundreds of options in each category. To help you, we've put together a guide, according to budget, of the cases we feel give you the best value for the money in 2018. Below, you'll find picks for various categories. We'll start with mid-sized PC towers, then review full towers, and give you our favorite ATX options at various price points. So, whether you've got $200 to spend or just under $50, here's a look at a few options that should be at the top of your list. Don't have a lot to spend? Here are a few cases that are elegant, have good airflow, cable management, and easy installation features. The Corsair Carbide 100R (shown above) looks fairly similar to the Corsair 200R internally. Here's another build with the 200R. Corsair's Carbide 100R and 200R are the two most used budget cases on the market in the $50 range and for a lot of good reasons. 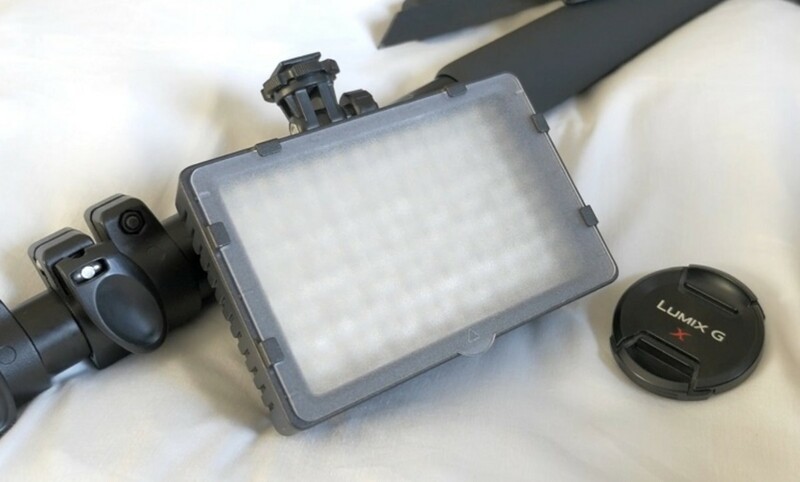 They're inexpensive, look great, have tool-free installation, and give you a lot of features for the money you spend. The Corsair Carbide100R comes standard with a window but also has a silent edition. The silent edition includes sound damping side panels, an extra 120mm fan, and a 3-speed fan controller. The silent version doesn't have a window and doesn't have the mesh on the top to attach additional fans. The 200R doesn't come with a window but has a windowed version for about $20 more. As you can see in the pictures these two cases look fairly similar; however, there are some notable differences. First of all, the Corsair Carbide 100R is slightly more compact at 471mm x 200mm x 430mm vs the 497mm x 210mm x 430mm of the 200R. In addition, the 200R has 3 more fan mounting locations (8 total) that can be found on the side and bottom. As I mentioned above the 100R silent edition has 2 fans where the typical 100R only has 1 rear 120mm fan. 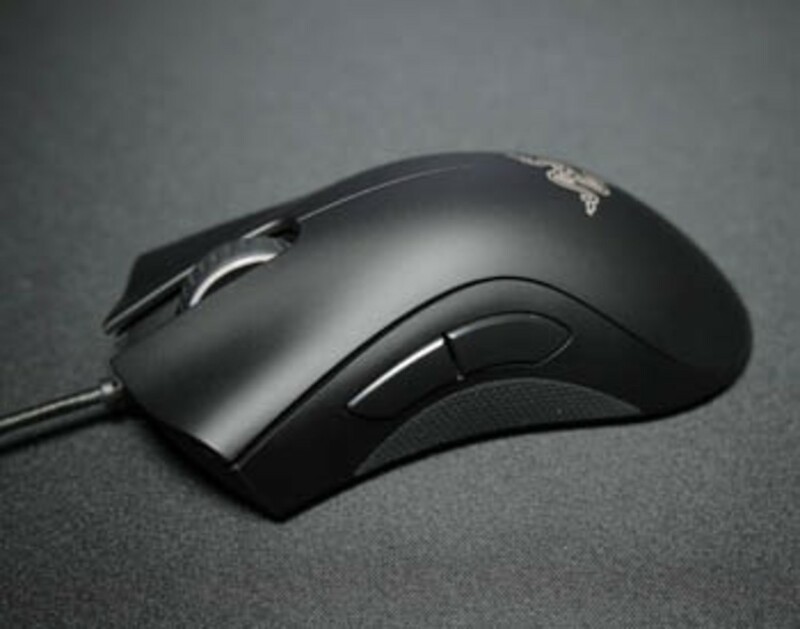 The 200R, on the other hand, comes with a front and rear 120mm fan. In addition, the 200R has radiator mounting locations. The 200R also allows for a higher CPU Cooler clearance at 165mm vs 150mm but weighs slightly more. Both models come with a two year warranty. Front panel connections are the same with 2 USB 3.0, a headphone, and microphone port. Overall, either of these models would be a great start for a good gaming PC build. They are both sturdy designs and provide relatively good airflow. Most importantly installing in them is a breeze. I've done it a few times and have nothing but good things to say about the process. For the money, they're hard to beat. Go with the 100R if you simply want an inexpensive case housing with a window or the 200R if you want more flexibility for mounting additional fans and radiators. The 200R is a good alternative for those who want more mounting options and fans. The DeepCool Tesseract has a ton of space to work and makes it easy to manage your cables. The Tesseract comes with 2 blue LED fans. They are somewhat bright, but don't feel like a nuisance. Here's another up and coming case that I didn't get to know until late last year. The DeepCool Tesseract is a budget computer case at under $50 that has a lot of things going for it. 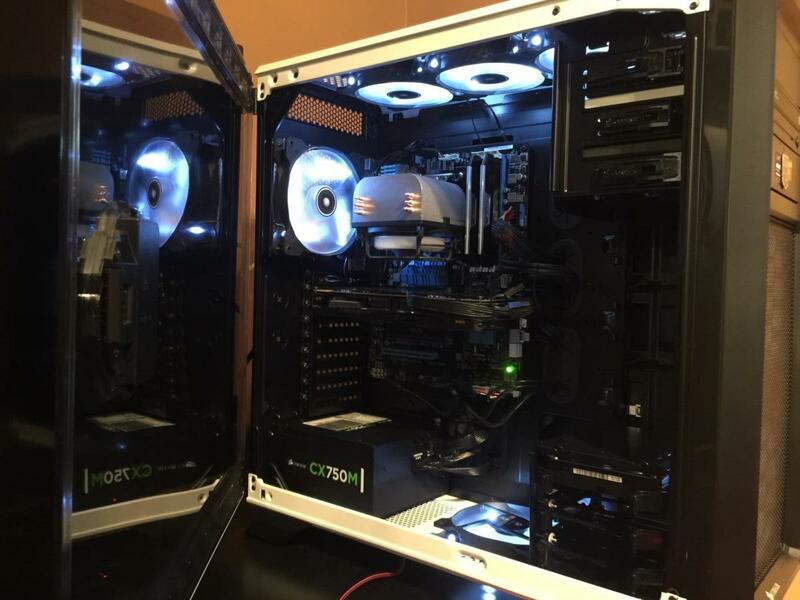 If you're willing to go with DeepCool, you'll likely get a bit more value out of it than the Corsair models above. 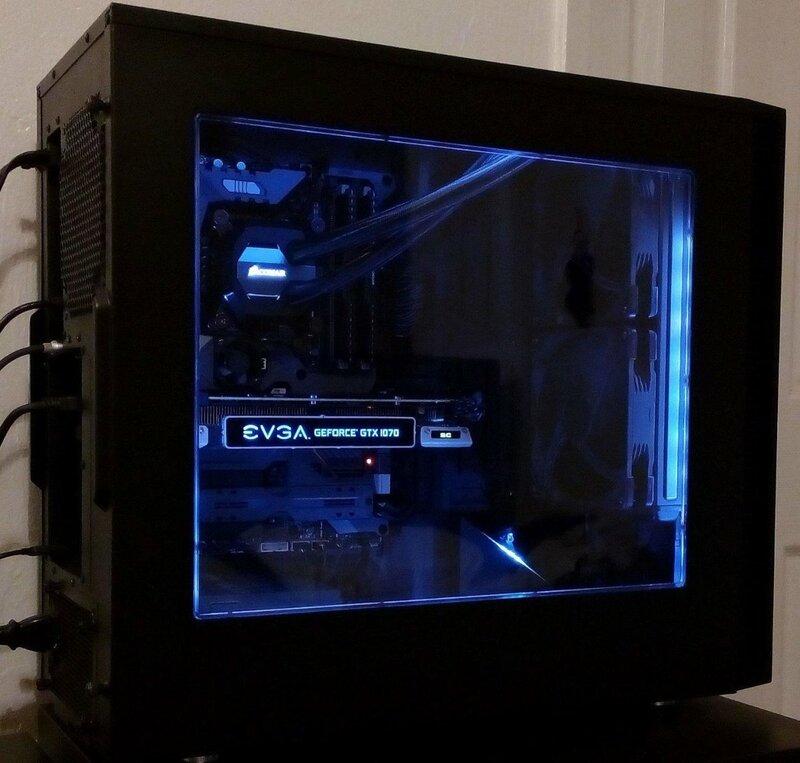 Aesthetically, the Tesseract looks fantastic with a windowed side panel, mesh front, and 2 preinstalled blue LED fans. Internally, the interior is painted a deep black. Installation is a breeze with tool-less installation and plenty of space in the interior. There are plenty of ways to manage your cables as well as holes to pull them through the back. The PSU location is bottom mounted as you'd expect from a modern case design. 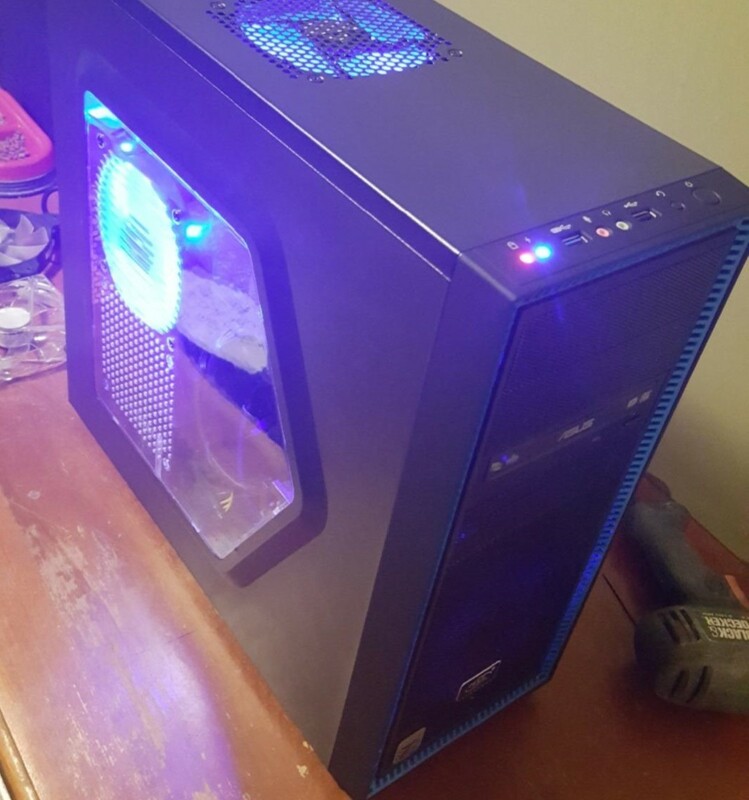 For the price you pay, the case also feels fairly sturdy. No, it's not as sturdy as cases that cost hundreds of dollars, but it's not as expensive either. If you're planning to sit it on the floor or on your desk, you'll have no problem. At every corner it feels like you're getting just a little bit more for your money with the Tesseract. The fans are good and bright but may be off putting for those who would rather not have a bright LED glow. I've seen this case regularly under $40, so look for it on sale or rebate. Prefer to start with a few more features? 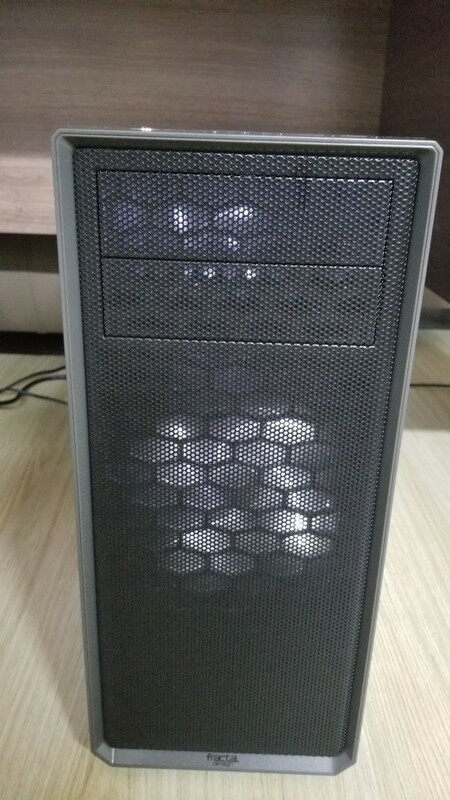 Here's a good value mid tower case for under $100. The NZXT S340 looks fantastic and comes in 5 different color schemes including; glossy white, glossy black, matte black and blue, matte black and red, and the special Razor edition. 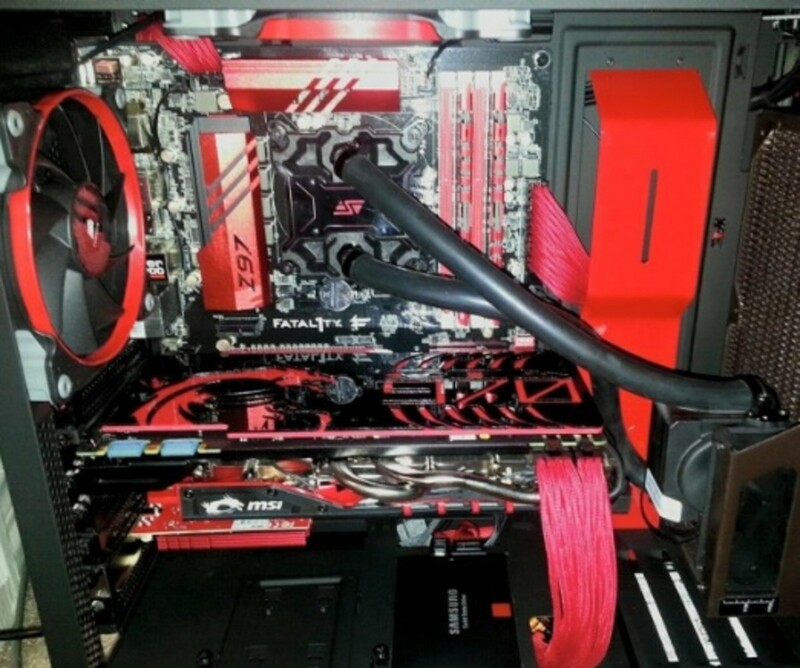 Here's an example of how the color schemes can really make your build stand out. When I think of what case I'd recommend in the under $100 category, there's one case that sticks out above the rest, the NZXT S340. Available in a wide variety of colors, the S340 can fit with just about any color scheme and offers a sleek minimalist feel that draws attention to the internal hardware of your custom PC. While a lot of cases come with fans that you might want to replace right out of the gate, the S340 comes with two fans from the NSXT lineup that would cost around $20 if purchased separately. They are sleek and efficient and should be good enough for everyone but the biggest of noise haters. For those of you wondering, even when gaming you shouldn't hear anything above 35dB from it. The S340 is easy to work with in the front for your components and adds plenty of room behind the motherboard for cable management. 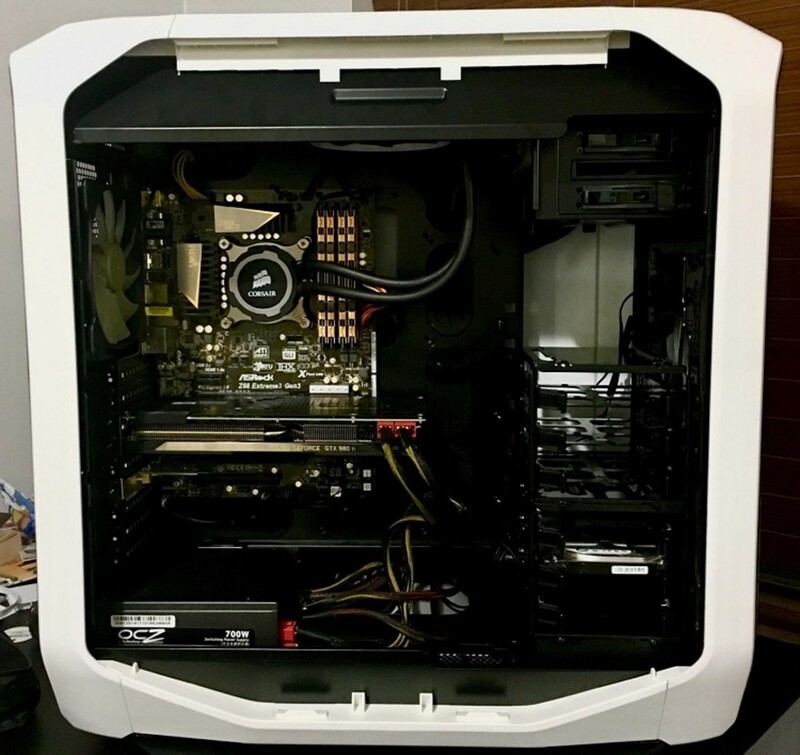 In addition, this case has plenty of room for your motherboard while still managing your tubing or other cables. This is definitely one of the better value cases out there. However, there is no inclusion of a drive bay on this one. Personally, I love it as I don't use one and it adds to the overall sleek feel of the case. That being said, that might be a deal breaker for some of you. Here's a case we feel sticks out above all others in the under $100. For most, it's a no-brainer. If you're looking for a large full tower case in the under $100 category, look no further than the Phanteks Enthoo Pro. I've found no case within $20 of it that provides as much value. In fact, I've used cases in the $200 range that weren't as easy to work with. First let's go over the key specs and then we'll talk more about why I feel like it has such great value. The Enthoo Pro comes with 2 SP premium fans; a front 200mm and rear 140mm. Purchased separately, the SP 200mm fan alone retails for $23. 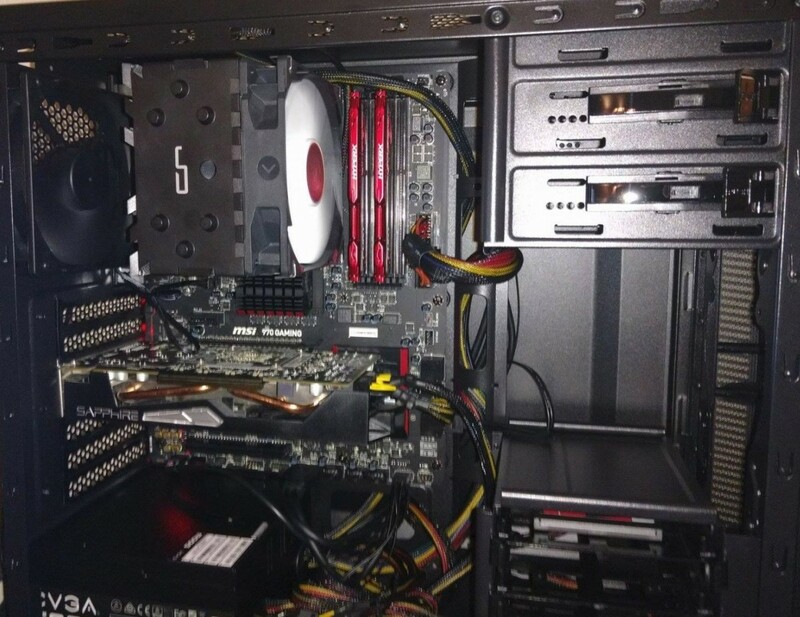 In addition, it has enough room for another 200mm fan on the top and as many as ten fans in total throughout. 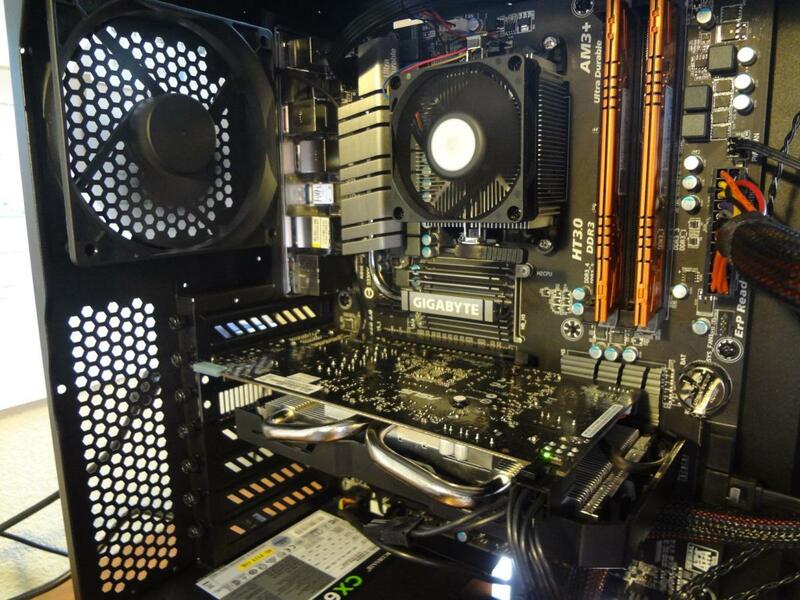 For liquid cooling, there is room for a large radiator on the top, front, or bottom. For the front I/O it has 2 USB 3.0, 2 USB 2.0, a mic, and headphone output. The side panel has a window that's split (although, there is another model of this that has no window at all). You can see the basic design of it in the picture above. There are eight expansion slots in total. Internally you'll like the 2 removable cages that can hold up to 3 2.5" or 3.5" drives. For design, the Enthoo Pro looks amazing as a gaming PC and could even fit in an office environment. The black exterior along with metallic brush on the front gives it a sleek look that many find appealing. Much of the interior is visible through the split window or if you prefer a more standard look you can get the version without the window. To add to the overall aesthetic, Phanteks has included a covered power supply compartment. 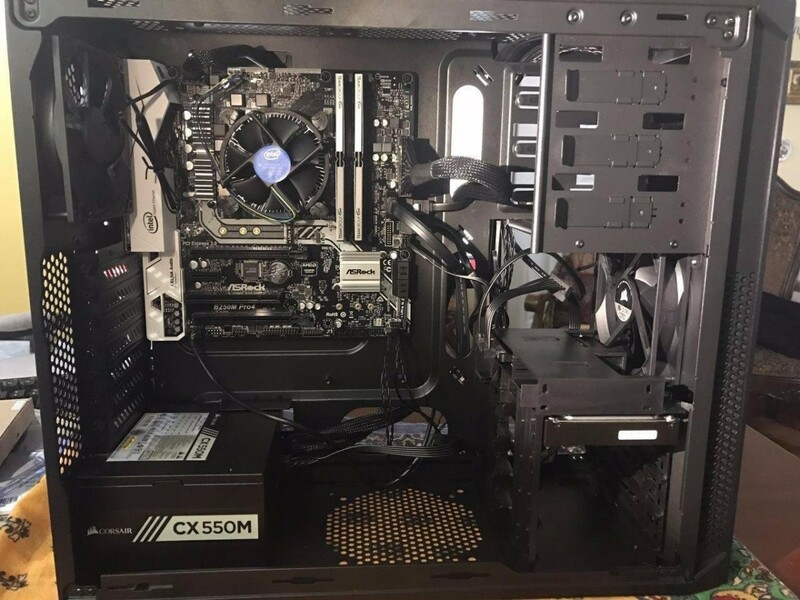 As you might suspect, cable management is about as easy as it gets with the spacious design. The Enthoo Pro is roomy, designed with quality and appearance in mind, and versatile enough for even the case modder. Still, its incredibly large interior as well as modular interior give it the flexibility that anyone at this price range is looking. It's hard to accomplish this type of quality at $100, but Phanteks did it. Looking for something with a lot of cooling support but don't want to spend a fortune? The Corsair Obsidian 750D is where it's at. If you're looking for a middle-of-the-road enthusiast case with a ton of water cooling support, the Corsair Obsidian 750D does a good job for around $150. The interior includes 2 removable or stackable 3.5" drive cages as well as a couple tool-less 2.5" drive cages. For cooling, Corsair provides the builder with a couple 140mm intake fans as well as a 140mm exhaust fan. 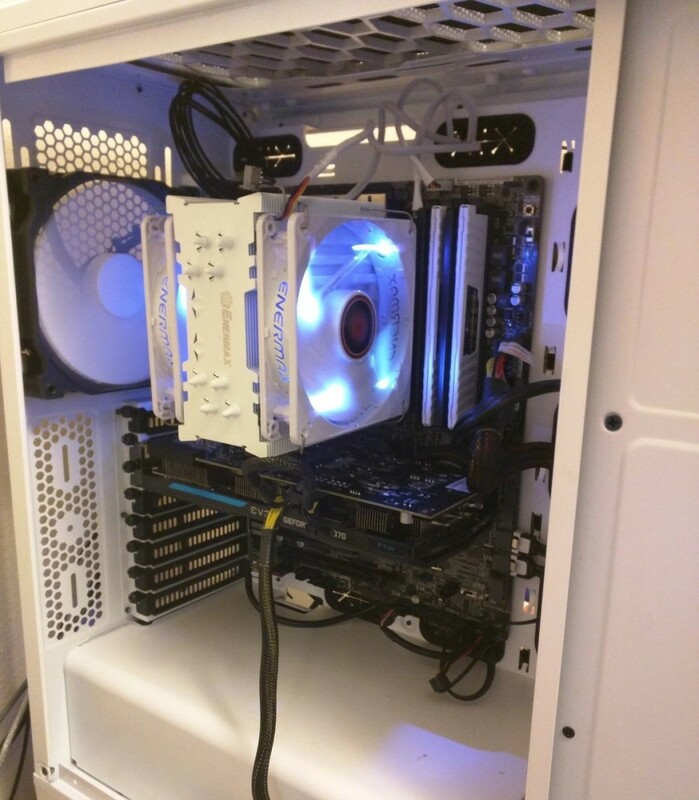 Clearly with a case like this you have a multitude of other options with 10 fan mount locations in total. Turned on our machine stayed relatively quiet compared to other cases in its categories at 35.7 dB from 1' away. This is a huge plus from Corsair who hasn't always been the best with noise damping. 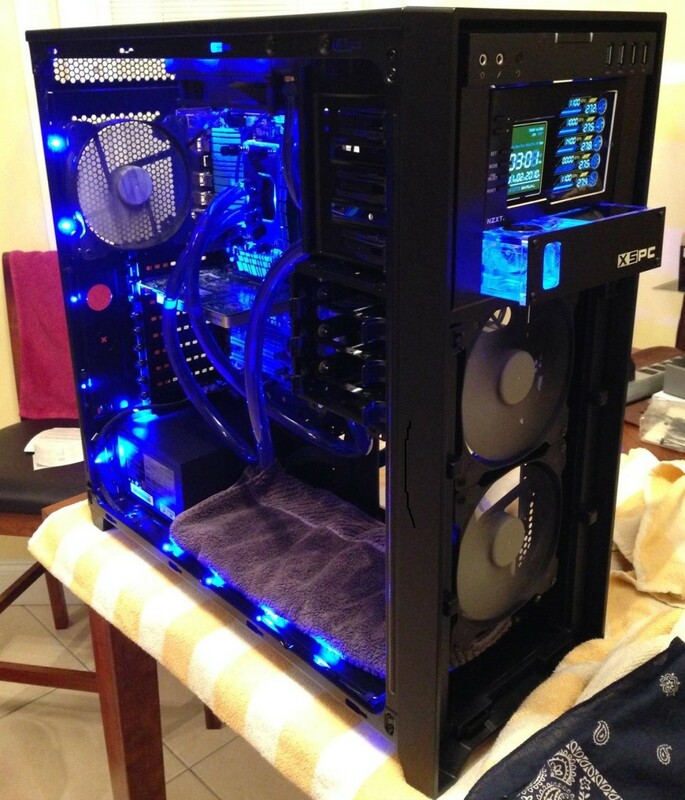 But the reason that most builders purchase a case like this is because they want more creative ways to cool their rig. The 1020mm of radiator support through the front, top, rear and bottom of the case make it ideal for this type of thing. Go with the Corsair Obsidian 750D if you're trying to save on a higher-end build and want the extra radiator support. Like all other cases in its category, it's extremely easy to work in. For design, it's a plus that it has an enormous window in the front without any gimmicky designs to it. Overall, I'd consider it the best option for the money in the under $150 price point. Which case manufacturer gives the best overall value for the money you spend? If you're familiar with the 600T, the 780T is kind of like a large version of that with better liquid-cooling support as well as space behind the motherboard tray. 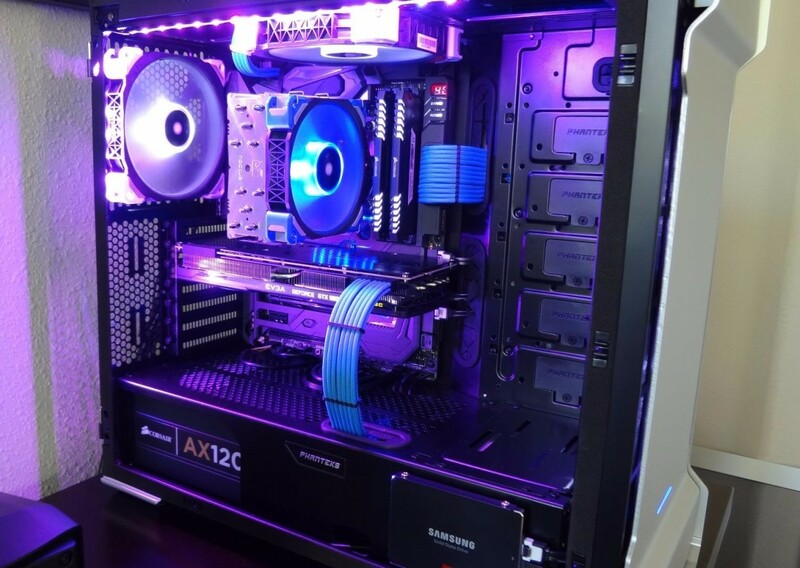 The Corsair 780T has a large industrial design that looks great in every area and is available in three different colors to match your preference. Side panel latches make it easy to get in the case without having to use any screws. In addition, it has a massive plexiglass window that allows you to see all of your hardware in its overwhelming glory. Included with the 780T are 3 140mm AF140l fans as well as a fan controller. The included drive cages can be hung from the top or bottom or removed altogether. 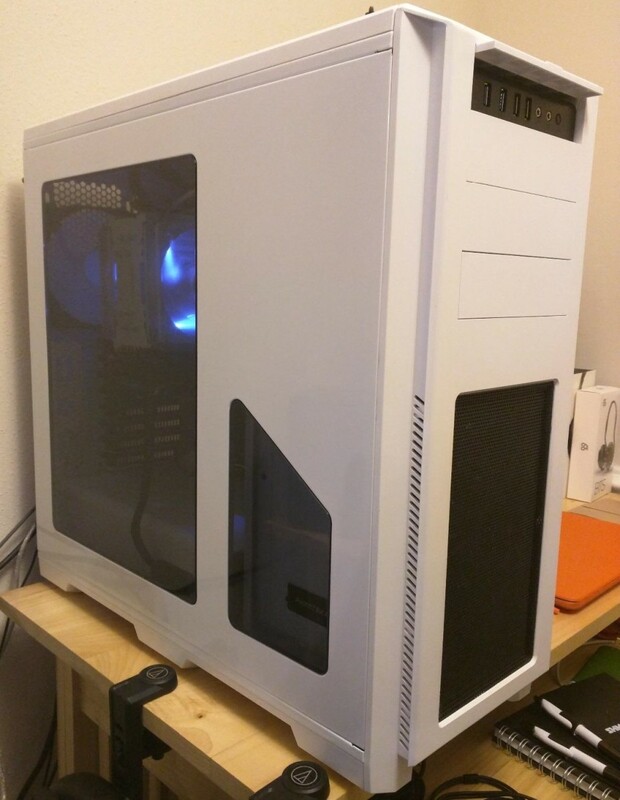 Overall, this is another great case from Corsair. As it's a couple years old, it's priced right and still gives you a modern feel and design. It's huge, roomy, and has support for pretty much anything you're trying to do. 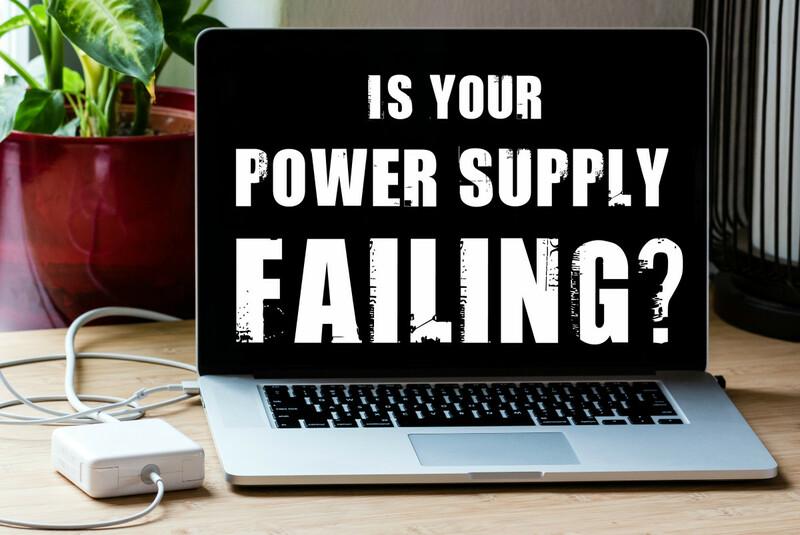 If you are in an environment where a loud buzzing sound from your PC is annoying, then sometimes it's important to look for a case that is designed in a manner that will squelch or avoid these types of sounds. One case that's earned my attention for not only being aesthetically pleasing, but also quiet is the Fractal Design Define S. Its optimized and designed to be a quiet case while still allowing for good airflow. In addition, it has extensive water cooling support. The look of it is also welcome in any environment. For those who may do professional editing on it, this is very welcome. There's a windowed and plain version so if you don't really care about seeing your components, then go with the cheaper version. 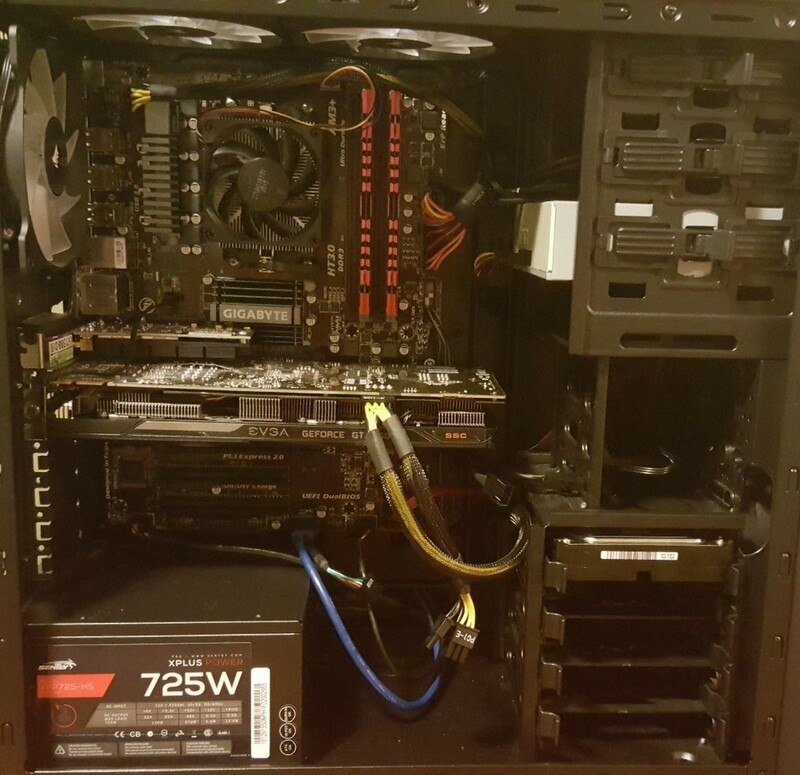 I recently upgraded to this on my main rig and couldn't be happier. The noise that bothered me while writing, is now mostly gone. 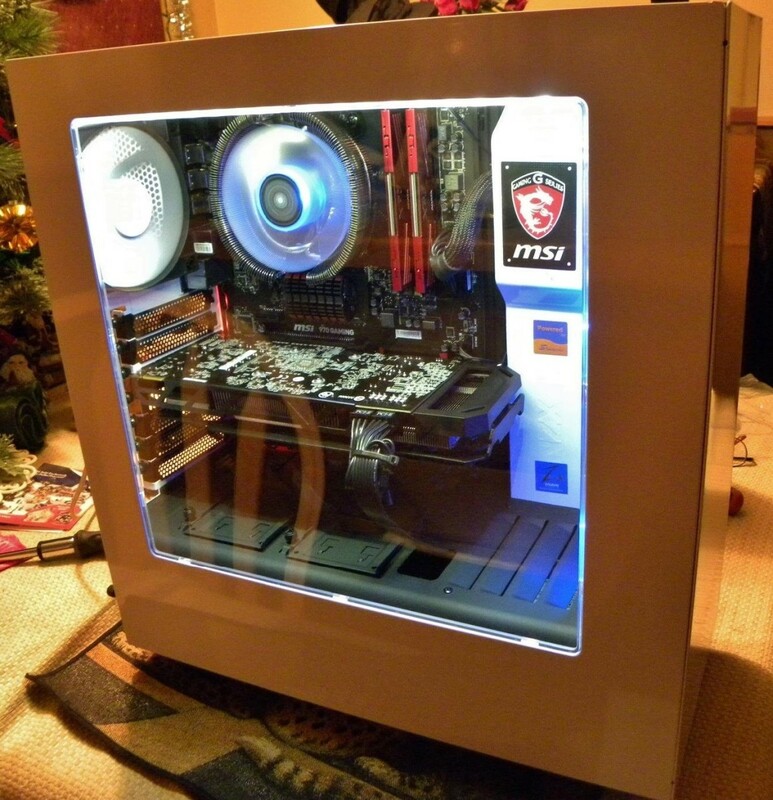 Alternatively, you might be able to find the Fractal Design R4 for cheap. It's another sleek and quiet option that's worth considering. Hopefully, you've enjoyed this review. Clearly not every case I mentioned above will be a good fit for every type of bit. However, I feel that these cases are those which give the best value for the money in their respective categories. Disagree? Be sure to let me know by leaving a comment with a detailed explanation in the area below. Also, don't forget to let other readers know what cases you like to work with. If you're building your dream machine, which full tower case will give you the best value for the money you spend? We take a look at our favorite desktop cases under $100, $150, $200, and $300. 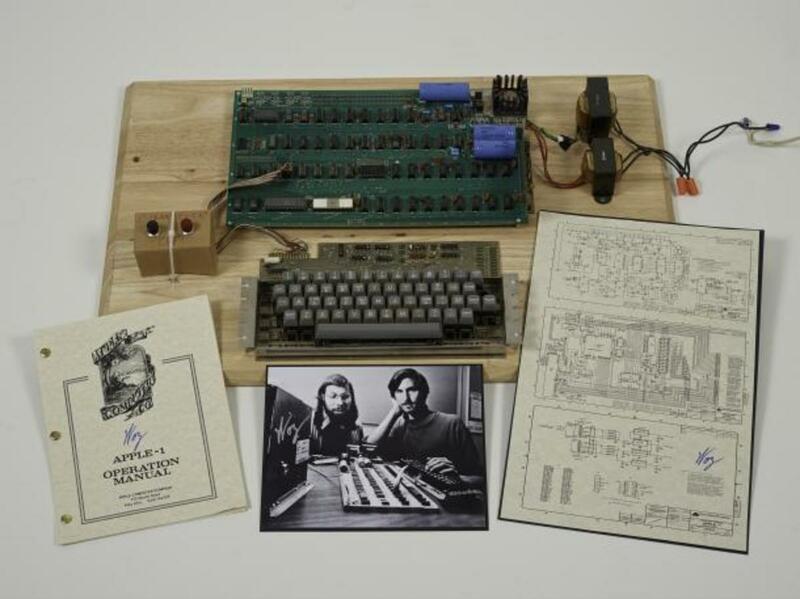 How Much Is Your Old Vintage Apple Mac Computer Worth? I really like the Deepcool cases I have used and glad to see the Tesseract get some love. It kept my overclocked components cool. I used a Kendomen next and have been impressed, but it's best to get it on sale as it's a tremendous value.